Relax in Room 1 with views of the town square and castle. 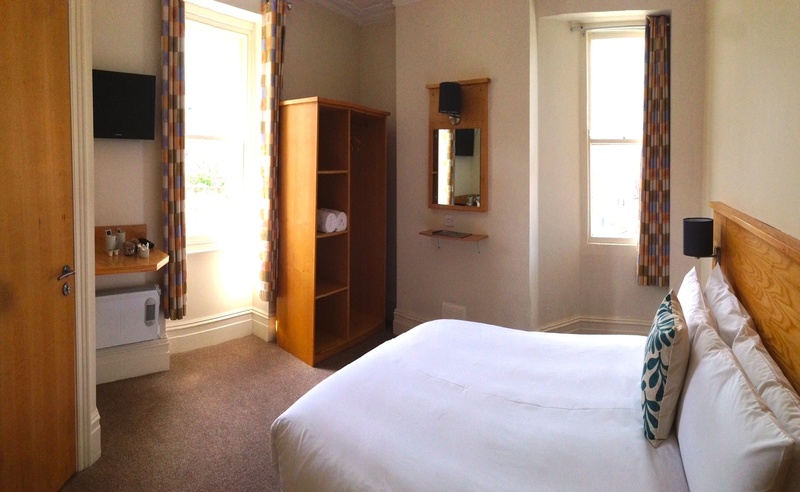 This room has a double bed and en suite bathroom with shower. This room, along with Room 8 is more spacious than the other listed double rooms.